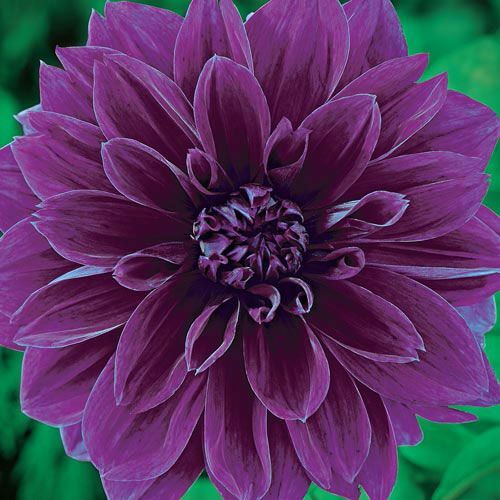 Our Kaleidoscope Dinnerplate Collection of bicolour dahlias pairs perfectly with our Classic Dinnerplate Dahlia Collection featuring bold, solid shades. So we've put them together for this very special jumbo-sized collection! This astonishing assortment includes 2 each of 10 different Dinnerplate dahlia varieties—20 clumps in all—for a very special price! Order two Ultimate Collections and save even more! 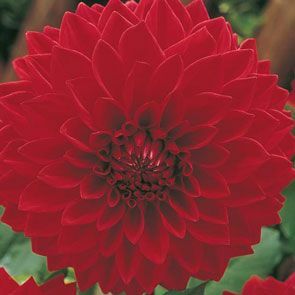 Duet Dinnerplate Dahlia: With its dramatic colour contrast and huge 7-9" blooms, Duet makes a stunning statement in borders and is surprising in summer bouquets. 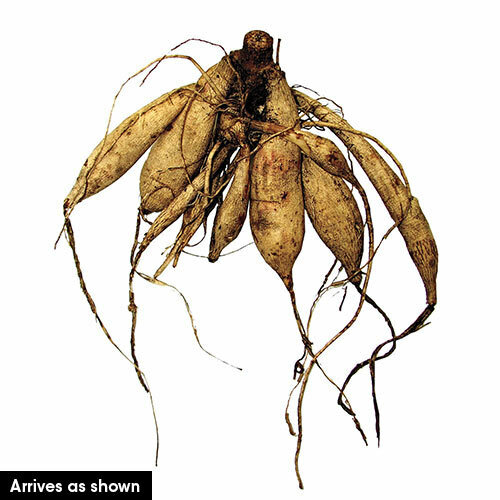 Grows 2½-3' tall. 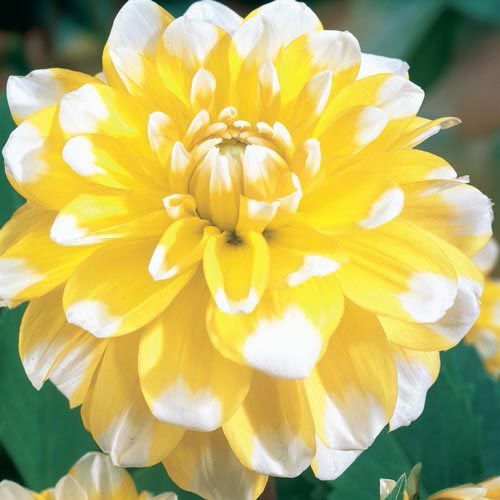 Seattle Dinnerplate Dahlia: Incredible, 7-9" golden-yellow blooms with contrasting white tips are more intense than sunshine. Dazzling Seattle grows 2½-3' tall. 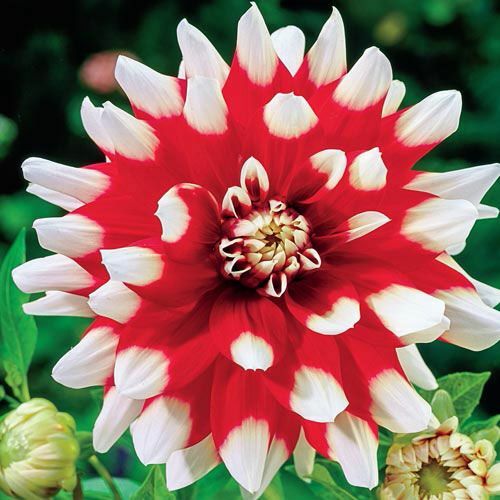 Jean Marie Dinnerplate Dahlia: This is the first dahlia of true dinner-plate size with this unique colour combination! Enjoy the radiance of each 7" deep pink bloom with contrasting white tips. Grows 2-3' tall. 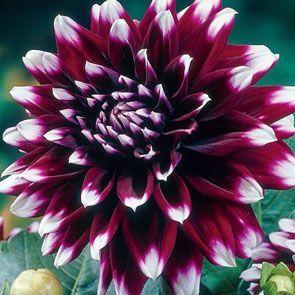 Mystery Day Dinnerplate Dahlia: Big, skyrocket purple and white blooms make a big impact in your garden. The 7" flowers are glorious all season long! Grows 3-4' tall. 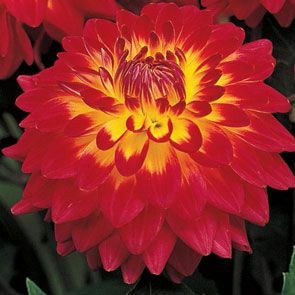 Procyon Dinnerplate Dahlia: A true standout, even in this collection, radiant red-andgold Procyon appears to be lit from within! Bold, colourfast blooms 6½-7½" across won't fade in the summer sun. 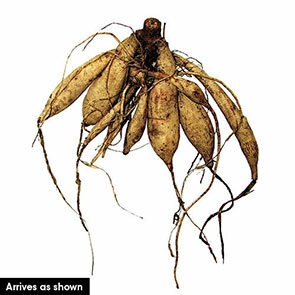 Grows 3-3½' tall. Garden Wonder Dinnerplate Dahlia: Big, skyrocket red blooms make a big impact in your garden. Kaboom! 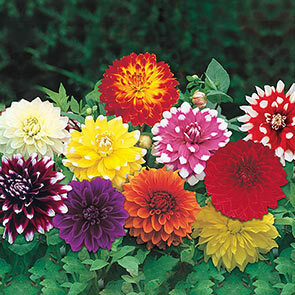 The 6" flowers are glorious, and the bush produces loads of them all season long! Grows 3-4' tall. 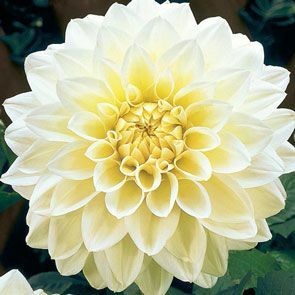 Fleurel Dinnerplate Dahlia: Delicate shades of cream trace the centers of elegant white petals on each 7" bloom. This is the queen of white dahlias! Grows 3-4' tall. Kelvin Floodlight Dinnerplate Dahlia: Incredible 7-9" golden-yellow blooms are more intense than sunshine. 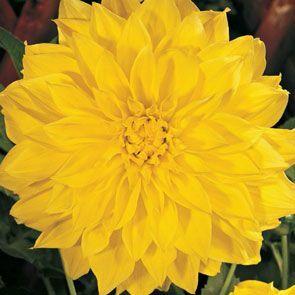 The most spectacular yellow dahlia ever developed, award-winning Kelvin Floodlight grows 3-4' tall. 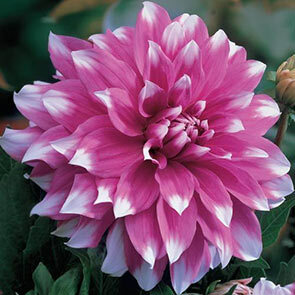 Thomas Edison Dinnerplate Dahlia: Huge, radiant, fantastic flowers are 7-8" across. 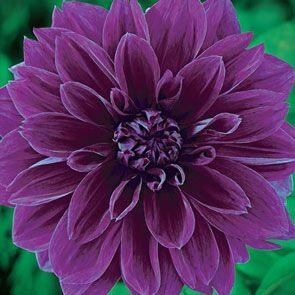 Immense size and prolific blooming make this the finest of all purple dahlias. Grows 3-4' tall. Mrs. Eileen Dinnerplate Dahlia: This is the first sizzling orange dahlia of true dinner-plate size! 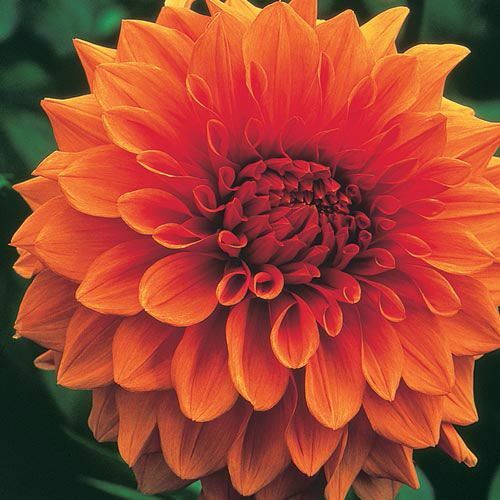 Enjoy the radiant splendor of each 7" bloom. Grows 3-4' tall.